In these days of unrest in the world, we need to come together in community even more than ever. We are honored to be part of the Vashon community. And in these dark days of winter — and with commuting traffic in Seattle even worse with the viaduct closing — we all could use some light, good food, and gathering in community. You might be in a bit of a food rut right now. You have to put dinner on the table every night. But everyone is tired of the same old meals. How do you keep getting healthy, delicious food on the table in these rushed days of winter? We’ll show you this Saturday morning at Relish. Shauna Ahern, cookbook author and mother of two, will share her secrets to making dinner at home every night: batch cooking on the weekend. This Saturday morning is the vegetable class. Shauna will share the secrets of creating a sheet pan full of roasted vegetables to eat all week long. She will also teach you the best way to buy, clean, and store dark greens and how to use them through the week. Vegetable starting to wilt in the produce drawer? Pickle them! Together, you’ll cook food and share roasted vegetable hash, a chicken and mustard green stir fry, and quinoa salad with pickled mushrooms. On Sunday, Shauna will also be teaching a class for your teenagers, so they can cook dinner for you! This class will teach your teenager how to make a homemade red sauce, meatballs from scratch, an al dente pasta, and a sharp vinaigrette for a big salad. After the class, they will come home with the prepped ingredients and make dinner for the family. Did you know that studies show that 45 minutes of making art lowers cortisol levels significantly? How about making some on Monday, with Alisara Martin? She will teach you how to capture delicious food motifs from life observation and/or a photograph to use as a jam / home brew label, seed packet, or table placard. Once you have the ​“stamp,” you can print anything, including fabric like tea towels and aprons. We will create linocut prints together and enjoy appetizers and drinks together as well. Would you like to learn how to cook Moroccan dishes, with the flavors of saffron, mint, olives oranges, and lemons? Chef and cooking teacher David Hatfield would love to show you how next Wednesday. Together, you will make almond-herbed couscous, chicken b’stilla, lamb tagine, and orange date salad. You will also have the chance to make preserved lemons or a ras el hanout spice mix to take home. And next Thursday, we start a 6-week in-depth series on how to navigate the Whole30 together. Would you like to have a doctor help you find the best way for you to eat? Dr. Kimberly Allen has been guiding patients through this 30-day elimination diet, followed by the reintroduction of foods, for years. Each week she will teach the science behind why food can mess with our minds, hormones, gut health, and immune system.. And you will share dinner made of the foods you can eat on the Whole30, with additional recipes for home. And of course, you will have the community of other people undergoing this journey with you. We know that January feels like the time to burrow down and stay home. But every class at Relish so far has brought the creation of joyful community. Venture out. 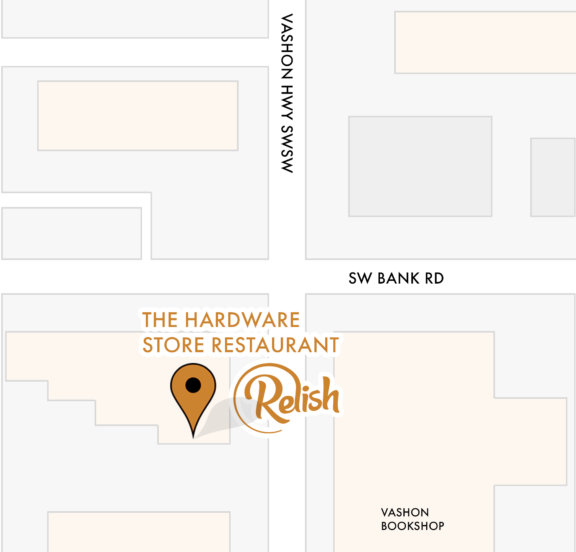 Come on into Relish to eat, make art, and be part of our community.